Rufus Brevett has informed the club that he is, with immediate effect, stepping down as 1st team manager after 3 seasons in charge. Right from the outset this season proved to be a tough one for the boss. Just prior to the start of the season he was informed by the majority of his team from last season that they would not be signing up for this campaign. It is testament to his drive and desire that he managed to put together a new team out at such short notice. Rufus has always been a true gentleman and his smiling face will be greatly missed around the club. We hope that he visits us soon and we wish him luck in whatever he does in the future. The club are extremely pleased to announce that we have agreed a working partnership with the Nigel James Elite Coaching Academy. NJEC is widely acclaimed as one of the top coaching academies around, year after year developing the skills of young players and providing opportunities of progressing into the professional game. As of this season NJEC will putting their resources behind our under 18’s side, with NJEC founder, Nigel James himself managing the side. The team will compete in the Central division of the Allied Counties League, playing their home games at Rectory Meadow on Thursday nights. Nigel himself has a very clear idea on how players, and teams, should play the game. In the future both NJEC and HVFC are keen to develop a more comprehensive youth section and it is our aim to instill this philosophy into teams across all age ranges. This year, in addition to this web site, we intend to publish an online diary containing all of our fixtures along with social events that are orgainised by the club. 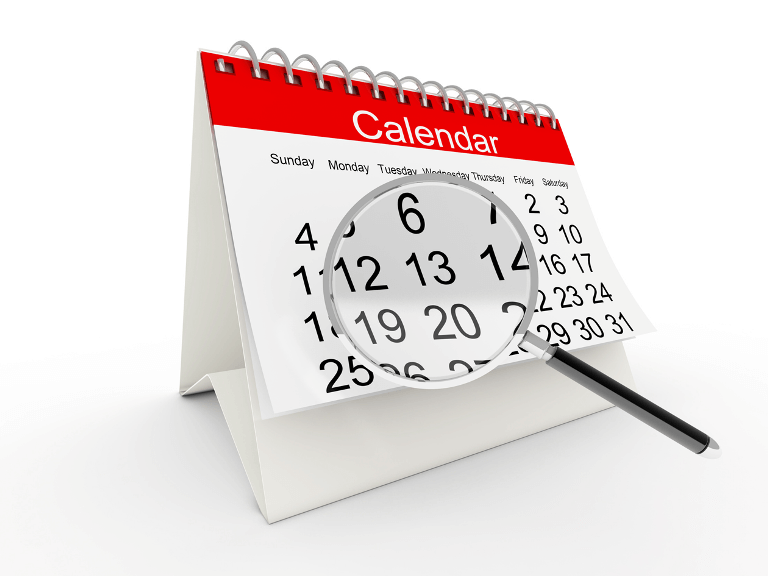 The advantage of the diary is it is always available either on your PC or on your very cleaver little phone. At the moment we are still awaiting news of the leagues format let alone the fixtures, but in anticipation, you can access the diary by either, or both, of the following methods. If using your mobile it is best to go into the app settings and turn of the “Display empty days” setting. Now your up and running you should remember to tap on any event you are interested in as there may be further details behind the banner. A fiercely contested last game of the season saw us finish the 2017/18 campaign with a Trophy, our 3-2 win over Spelthorne Sports meant that we won the MIddlesex Charity Cup for the second time in three seasons. 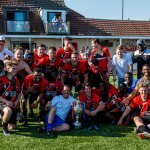 The final was held on Bedfont Sports 3G pitch so a scorching hot day was the last thing either side wanted, but the conditions didn’t prevent the teams providing an exciting game played a very high tempo. After a frantic opening Levi King opened the scoring in our favour, and what a goal it was. Finding himself in space 5 yards outside the penalty area, Levi turned and fired an unstoppable shot into the top left hand bin. Typical Levi goal. Brilliant. The goal settled us down and we began to knock the ball around, but the Spelly boys worked very hard to ensure that we didn’t add to our lead before half time. The half time team talk certainly fired up Spelthorne as they came out an equalised within a minute of the restart. A swift attack lead to a corner that a Spelly player managed to head home despite a crowded penalty box. The goal shook us and for the next 15 minutes it was Terry Buss against the opposition forwards. Luckily for us Terry has got himself back into good shape and he was well up to the task, making 3 or 4 great saves as well as being very commanding when taking the ball from crosses. Once we weathered the storm the game settled into a pattern where the teams started to trade attacks. In the 78th minute we won a corner which was eventually finished by a cute little flick from Cyril Ocansey. Cyril showed great form towards the end of the season, scoring a lot of goals but none more important than this one. With our noses in front again we decided to sit back and play on the break. With a minute to go, Lovers intercepted a ball in midfield and played a great ball through the Spelly defence. Levi got their first, held off a defender, and finished, as he does, with a cheeky chip over the keeper. 3-1, minute to go. Spelthorne however hadn’t given up all day and they weren’t going to start now. Deep into injury time they won a corner which was headed home by their goalkeeper to set up a nervy end to the game. Fortunately for us there was no time for the restart. The refs whistle sparking great scenes of delight. All in all a very good game. A number of good performances from our boys but it was Levi that the County gave the man of the match award too. I thought that could have easily gone to Lovers or Jermaine as well. Nice that the boys won something for their efforts this season. We had a very dodgy spell for a couple of months early in the New Year but credit to the boys knuckling down and finding the form to win 9 of their last 10 games. Let’s hope that form and desire continues at the start of the forthcoming season. The end of season awards were presented after our Cup final win. The worthy recipients were. Cyril finished the season very well scoring the lions share of our goals. Shame about the one’s that got away in the first half of the season eh Cyril. It’s true to say that Alfie didn’t get many opportunities to prove himself this season but in the chances he did get he showed himself to be a very capable player. Had an excellent game in the cup final. Big J has been very solid alongside the skipper all season and deserves his award. Be nice to see a fewer yellow cards next season. The fans votes were spread among a number of the players but it was the effort shown by “The King” in every game he played in that swung the vote his way. We love you Levi. It wasn’t only the fans that noticed Levi’s efforts, the Boss did too. He praised Levi for his never say die attitude especially when were going through a very dodgy couple of months during the season. He also mentioned that he could rely on Levi to score just when we need it. Good old Dillers. Always dependable, always gives his all, also great for a laugh (mainly at). A Villain through and through. Well done to all the winners and thanks to all the others for their efforts this season.